Alcor Consulting's HIPAA/HITECH Service helps healthcare organizations with information to protect patient and employee privacy as well as avoid fines for non-compliance. 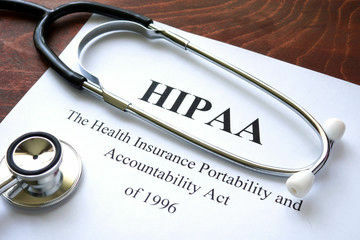 Both the Health Insurance Portability and Accountability Act (HIPAA) and the Health Information Technology for Economical and Clinical Health (HITECH) Act require health organizations to comply with federal standards when handling and transmitting patient data. This applies to all healthcare providers, health plans, healthcare clearinghouses and to any service provider that manages electronic protected health information (ePHI) including organizations in the life sciences including medical devices, biotechnology and pharmaceuticals. These institutions must employ procedures that protect the disclosure of personal health information while ensuring the privacy and security of information collected, processed and transferred to other organizations. Innovations such as Electronic Health Records (EHRs), mobile devices and cloud computing have introduced risks and threats to privacy and security — with ePHI becoming a prime target for cyber criminals. Alcor Consulting's HIPAA/HITECH Service helps healthcare organizations with information to protect patient and employee privacy as well as avoid fines for non-compliance. Provide remediation guidance to help meet privacy and security obligations Create a breach notification plan to establish proper procedures and reporting requirements in the event of a data breach.